I've had this device for almost 3 years now (2 years and8 months). I'm the patient user type. Like any other phones, it started lagging badly and had a lot of bugs after the memory is nearing the limit. Probably still forgiven. But the problem is the camera. The quality of the camera decreased drastically compared to first year of usage. It just becomes sooo bad. Is it normal tho? 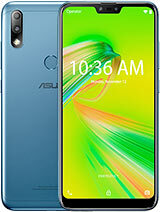 For a camera phone to become really bad after years of usage? Bought this about a year ago. Works fine until the memory fills up (which happens really fast). After that, it becomes the worse phone I have ever owned. The screen becomes unusable, iti s impossible to answer calls or chat, typing stops working. Had to remove almost all my apps except 3 in order to get it to work. Have many phones before, but none is as bad as this one. And the fact that is impossible to move apps to flash card, makes this phone almost unusable for anything other than simple calls and internet browsing. 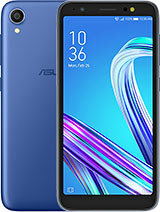 i've had a good experience for the first year of experience I really liked the asus UI now the phone is really broken and I want to buy a new asus phone but im scared it might happened again because as I searched for solutions Ive seen a lot of complains like this in the asus products. i've been using it for more than a year now, my first problem started for the first 3 months i had a problem with the flash light it wont flicker anymore but it can stay on. I dont gave much attention to it. then after using for 1 year and 2 months i had a problem with the screen, there is a dead touch horizontally at the bottom middle part of the screen i didn't fall or anything it just happened. I tried to hard factory reset but it didn't worked. 3 weeks later I accidentally fell the screen and it had cracks but the display is still fine no dead pixels, after a week it had ghost touches after a week i cant use the home anymore nor the back and recent apps. pretty okay at first year..as warranty ends and next few months later, first problem comes..charging problem..the phone charging only when it's switched off and the battery drained faster than usual..come one asus..I've read a lot of review about charging problem in youtube & no solution at all..but, I keep my patience for a months..and yesterday, problem became worse..it's seem like software problem..idk..I can took picture, open music player and so on..after I tried to backup photos at google photo, I've reset (power button + volume down) my phone, clear user data and reboot...guess what happen? 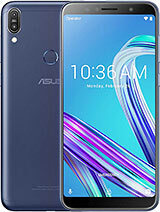 ?...the screen shows the asus logo and stuck there...f**k...I can even open my phone again..
Well, i've used this phone brand for about 6month. Everything fine, and i'm satisfied with everything. 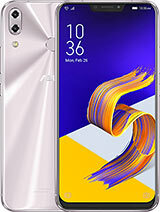 This cheap midrange fone behaves similary to the flagships and screen is very good in this price range (I can't give exellent for not high bright level). Camera is worse than SGS 2+ 8 MPix camera but better than Marshall 8MPix camera (in ten-ball system I give to Marshall 4,8 points, to 500KG 7,4 and to SGS 2+, SonyEricsson C 905 and Nokia 808 PV in 8 MPix mode 9,6 points). Led flash is impressively strong and usable in dark. 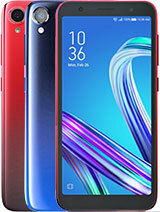 Cheap phones with 8 MPix not in range with nothing. I got 500KG for 168 Â€ and for this I'm very satisfied. 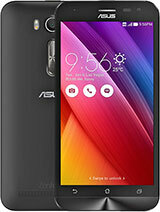 I have been using this phone(Asus Zenfone 2 Laser ZE500KG) for last 2 months . Being a mid-range device i have to admit it got a solid build quality . The screen is good considering the price , its quite bright . With 2GB ram its okey for day to day use . But internal storage is not sufficient despite being 16GB I was surprise to find only 9 gb avaliable...!!!!! Headphone sound quality is simply Awesome. Anonymous, 15 Jul 2016Well i am also using the same product. I am not facing any kind of prob regarding software iss... morewhich phones are availabe in bangladesh,i found this problem on that phones. hmm.. my friend has galaxy j5 and he envy with my asus ze500kg's camera. my phone's camera resulting good and crisp picture. and his j5 camera are blurry even with bright outdoor light. The Focus is amazing but the camera quality make it useless. its fail to compete with Xiaomi camera. The camera has advantages in very good light bcus the color are so accurate but in low light. or indoor seriously useless. 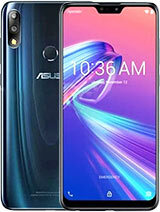 Anik, 14 Jul 2016Brother, I have read your opinion, which i thought for a while that is this person is reall... morebro,i am not talking about all asus zenfone 2 laser phones.i am just talking about ze500kg model of asus zenfone 2 laser series.just compare its front & back cam with other phones which has 8mp back cam & 5mp front cam near this price such as samsung j3,huawei y6pro,g play mini or even lava iris x1+ which price is half of ze500kg...i compare ze500kg camera to all these phone's camera that i mention and i found a worst on ze500kg,lots of noice,bad picture quality & unable to give real color.its also have lots of bug on its software version such as when u went to update/install facebook app,massenger the phone will restart & unable to install/update that apps from google play...they give software update bt these update also full of bugs.bro i m facing this problem so i m telling here & its not only my problm its a common problm of ze500kg user. 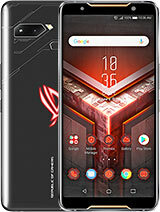 I have read your opinion, which i thought for a while that is this person is really talking about Asus zenphone 2 laser. well an opinion varies from person to person.. 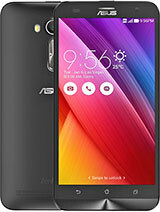 I think this is a standard phone within the budget. 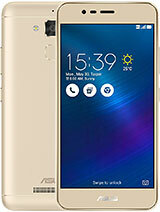 Total of 89 user reviews and opinions for Asus Zenfone 2 Laser ZE500KG.